For the past decade, Bath & Body Works has reinvented the personal care industry with the introduction of fragrant flavorful indulgences, including shower gels, lotions, candles and accessories. With a focus on creating and offering the best products, and an emphasis on innovation from nature, Bath & Body Works is destined to become the ultimate personal care destination. In other words, a 21st century apothecary integrating health, beauty and well-being. Combining the introduction of spa products that are easily used at home with the incorporation of simple rituals into daily life, Bath & Body Works is committed to helping consumers improve their emotional and physical being. We have accomplished this by combining traditional spa treatments with botanical and natural ingredients, then developing an extensive collection of advanced, easy-to-use personal care products with proven effectiveness. Bath & Body Works was founded in New Albany, Ohio in the fall of 1990, and has always prided itself on the innovation, quality and performance of its products. 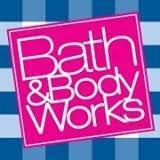 A division of Limited Brands, Inc., Bath & Body Works now has more than 1,600 stores nationwide.